Girl Power is part of my ongoing work, Americana. A constantly evolving series with new discoveries and visuals around every corner. Seeing the beauty in the unexpected, ho hum everyday scene. As it turns out, most of ordinary life is not so ho hum. Painting is my passion, it's my life. Cliché, but true in every sense. No matter the subject, I paint with eclectic energy and liberal twists of color. My driving force is to simply paint anything I want to paint, and then paint it again and better. Thank you for taking a look. 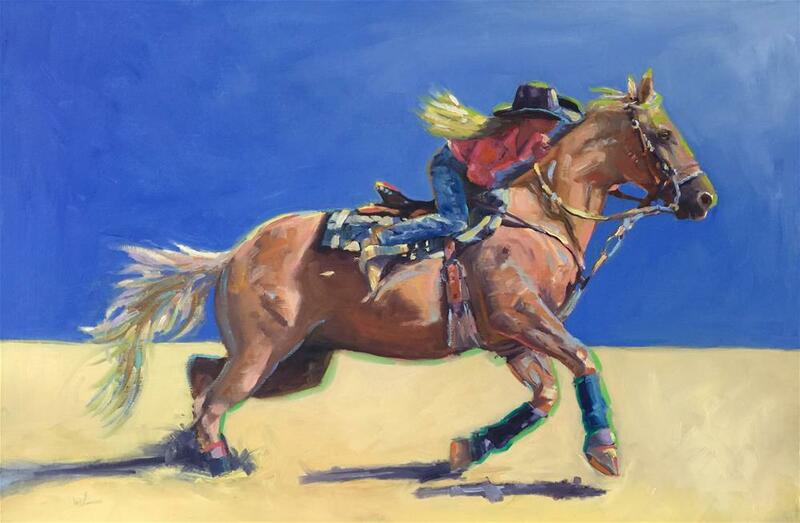 MB Warner is an oil painter living and working in Steamboat Springs, CO. She has an MFA in painting and printmaking. Her art career has led to various teaching opportunities, numerous public installations as well as gallery curator. 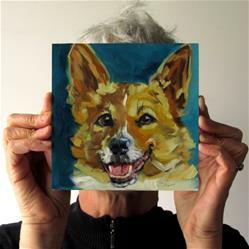 In 2012, she joined the daily painters by completing 100 small paintings in 100 days. The rest is history. There's no stopping her now. She paints to live.